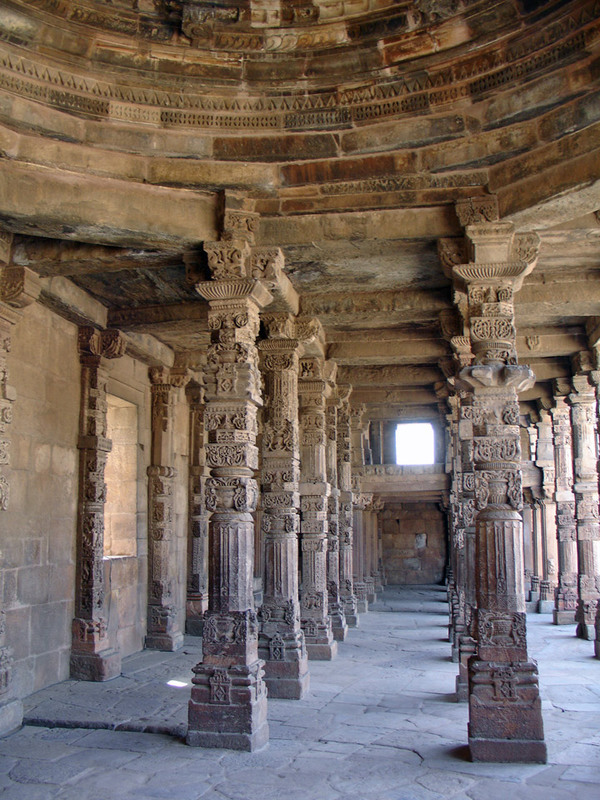 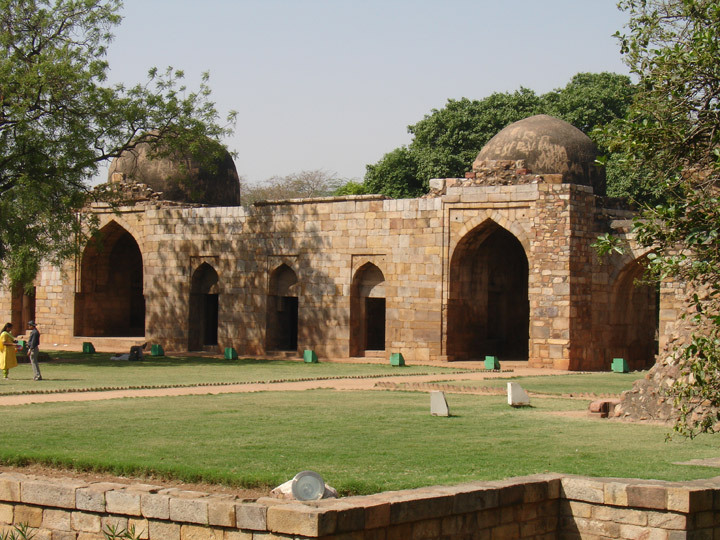 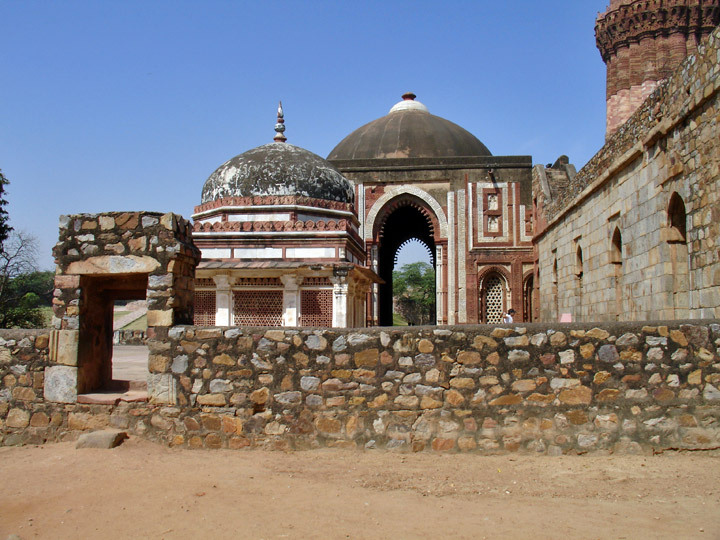 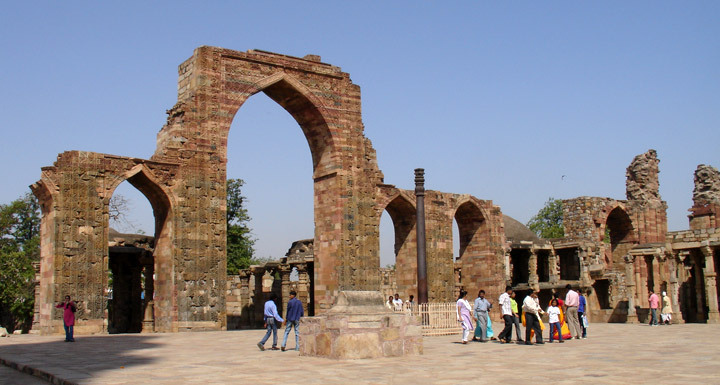 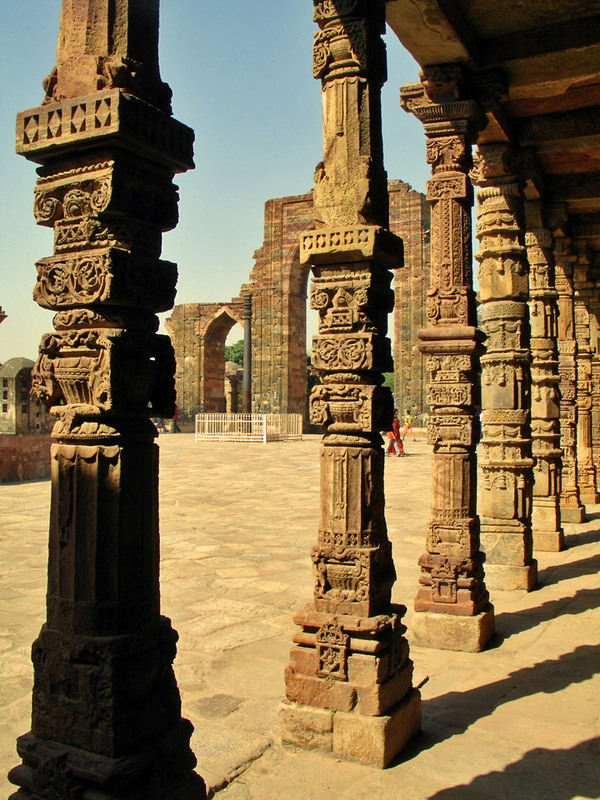 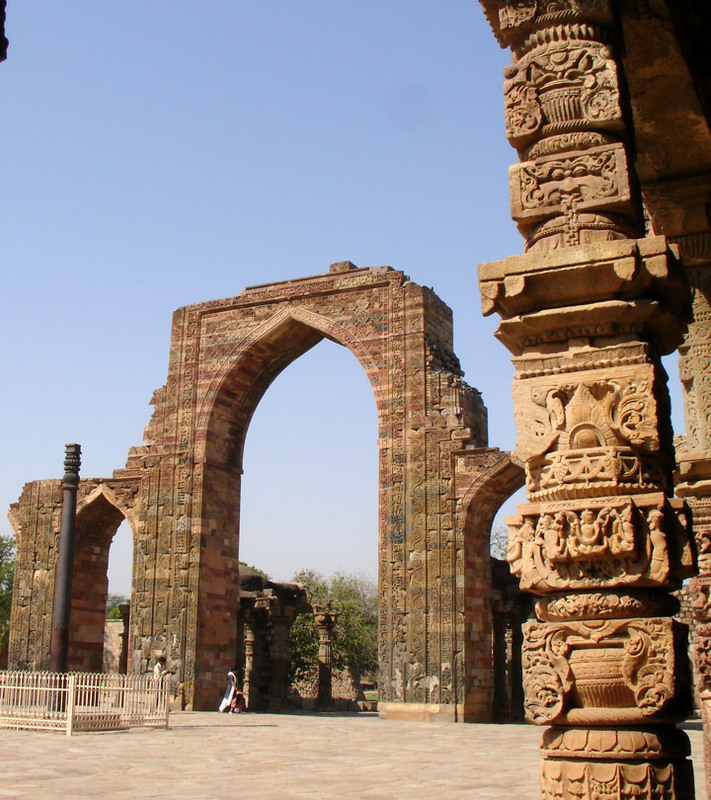 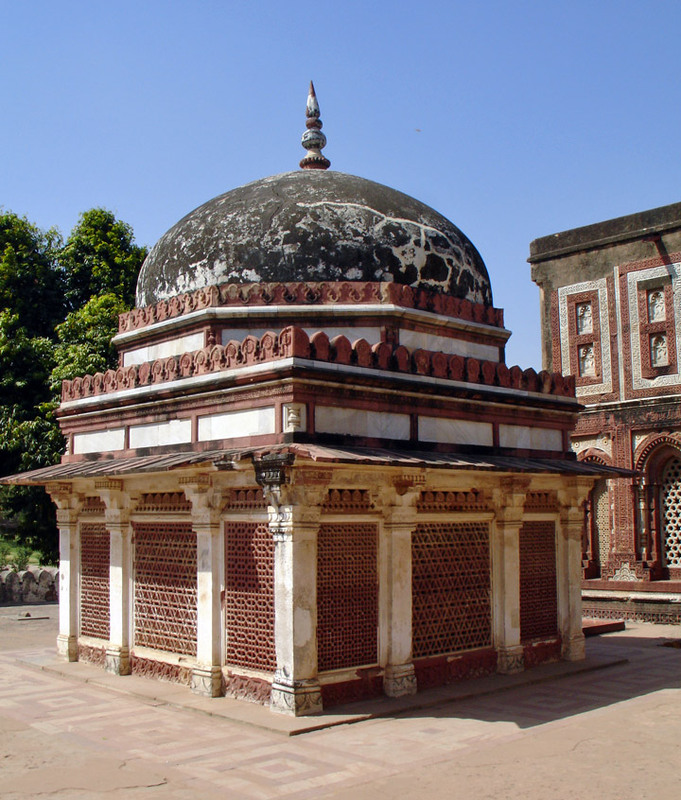 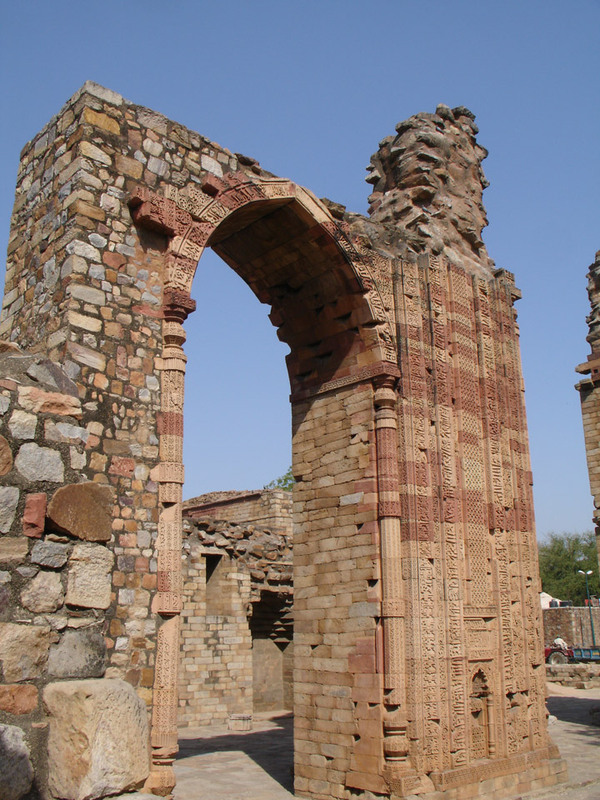 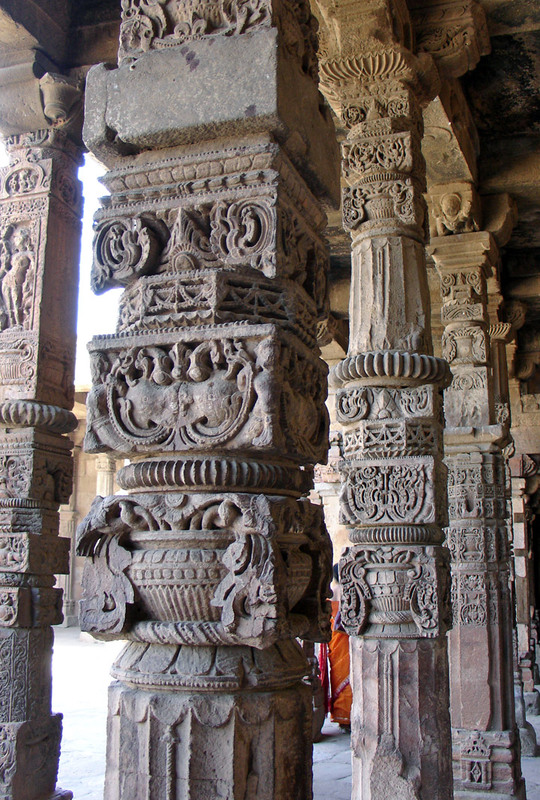 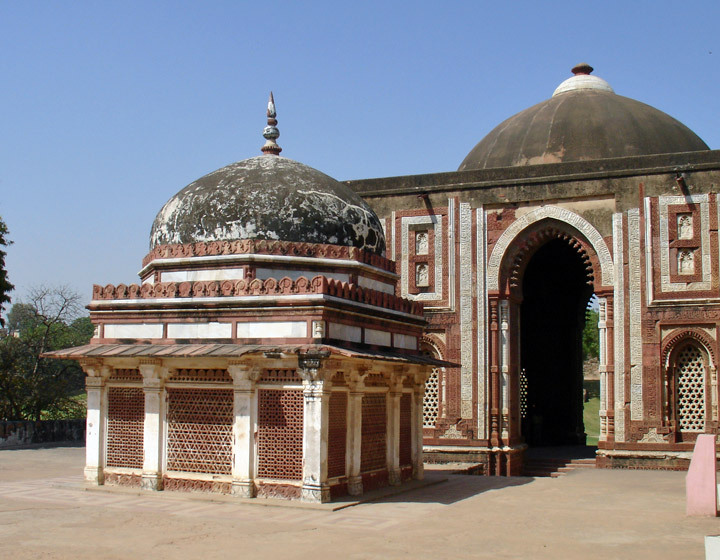 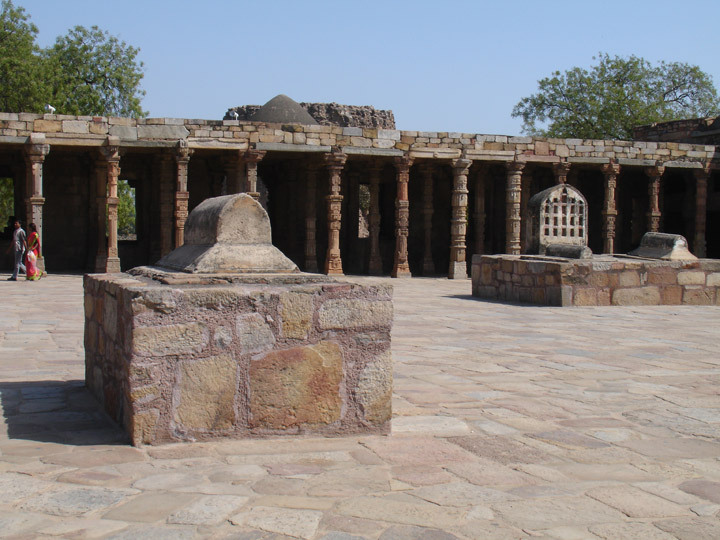 The superb buildings in this complex date from the onset of Muslim rule in India. 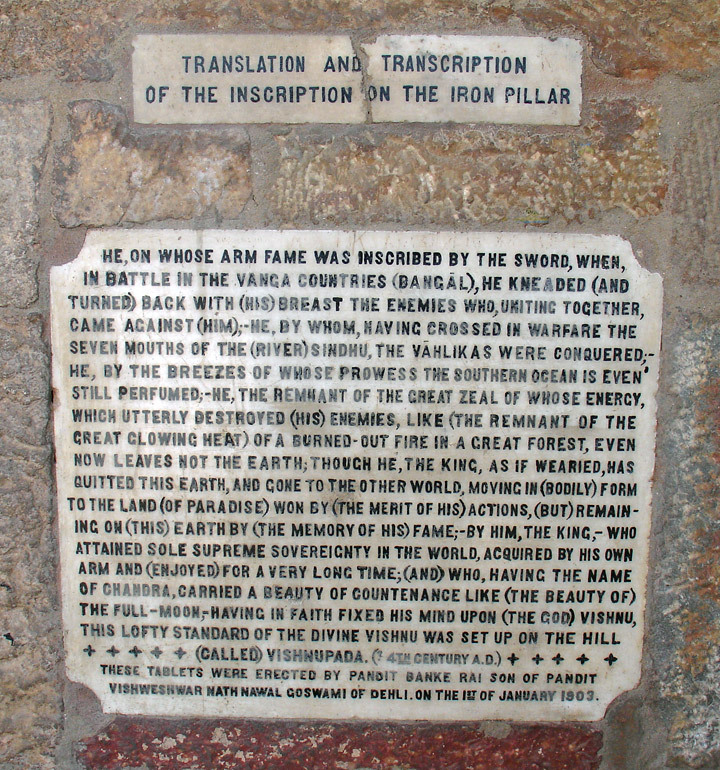 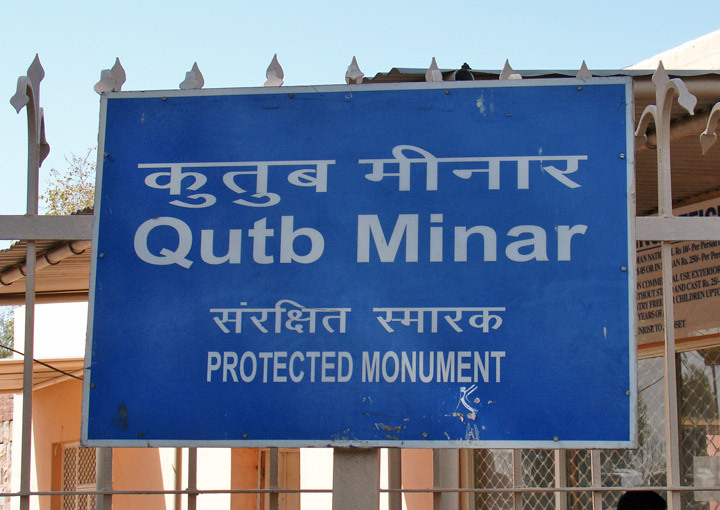 immediately after the defeat of the last Hindu kingdom in Delhi. 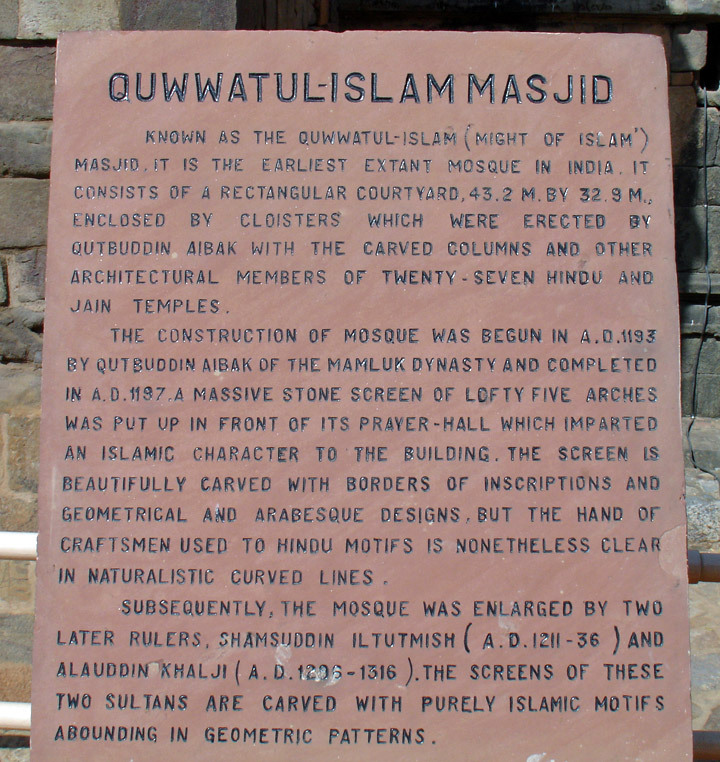 At its base is Quwwat-ul-Islam Masjid (Might of Islam Mosque), India’s first. 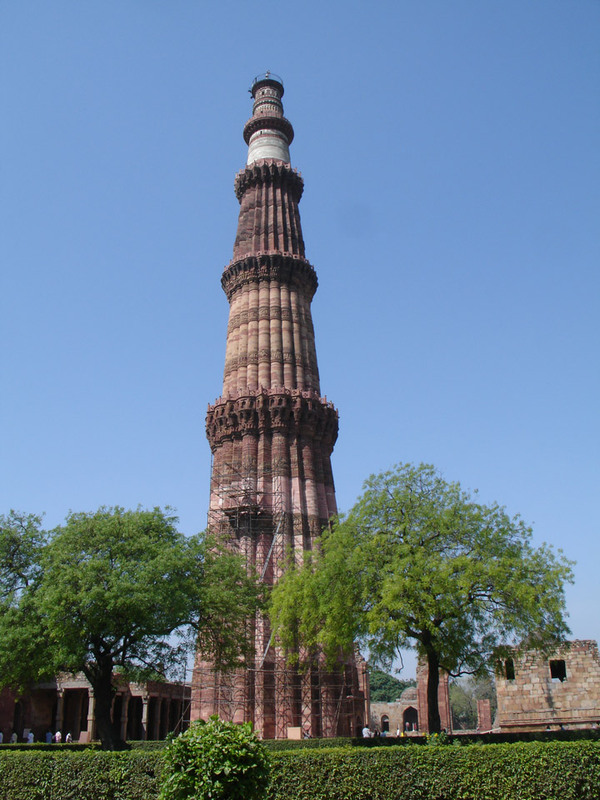 The tower has five distinct storeys, each marked by a projecting balcony, and it tapers, like something out of a fairy tale, from a 15 meter (50ft) diameter at the base to just 2.5m (8ft) at the top. 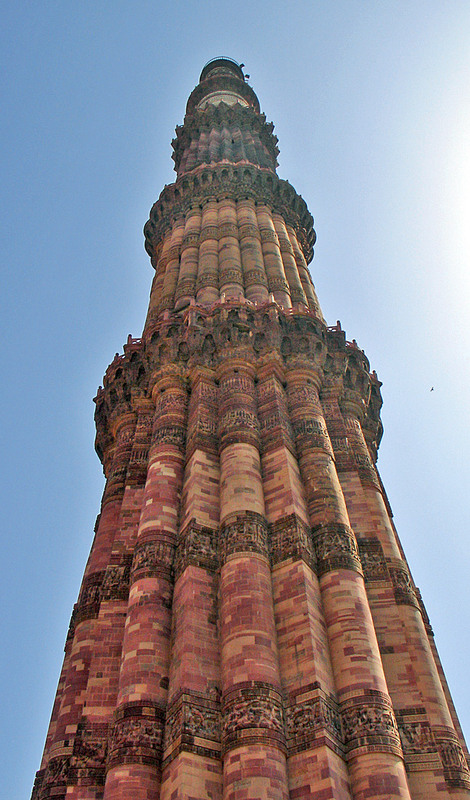 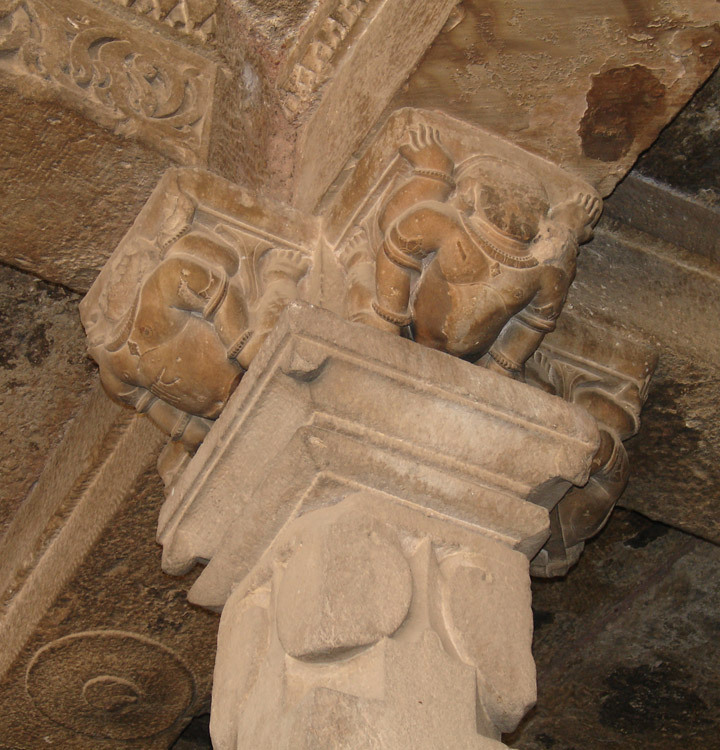 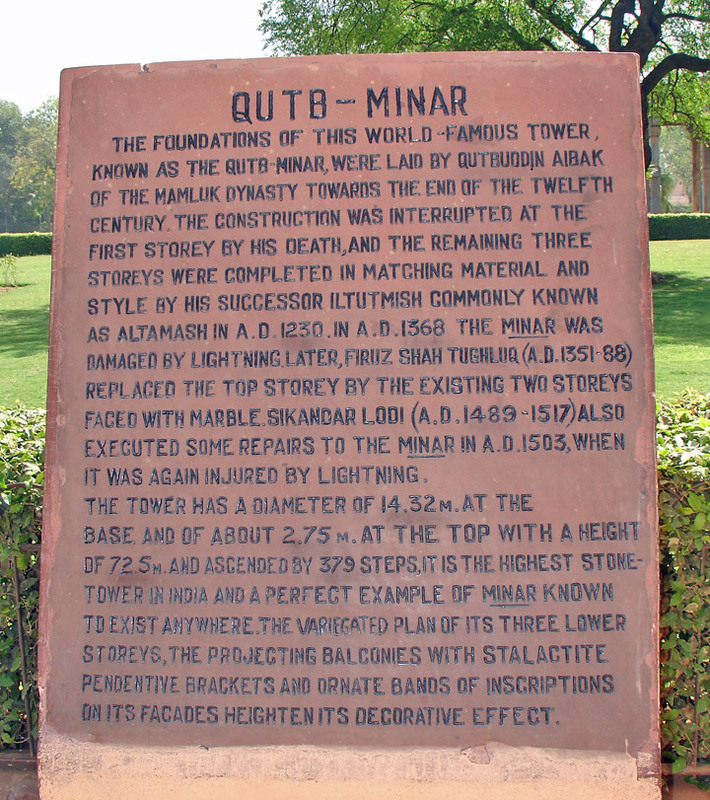 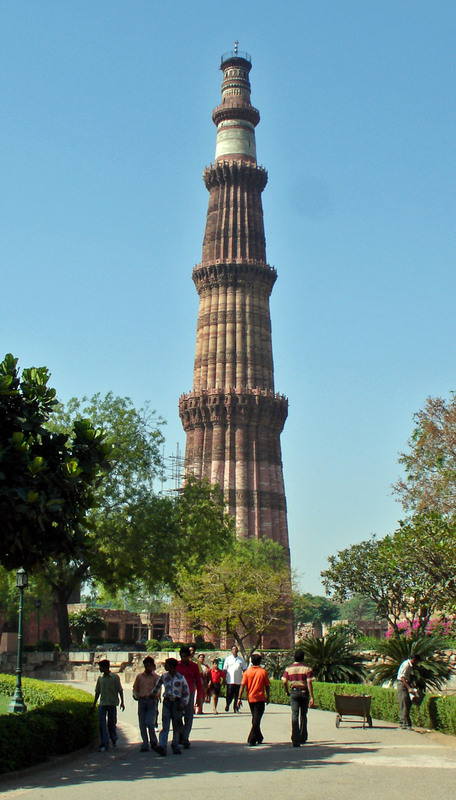 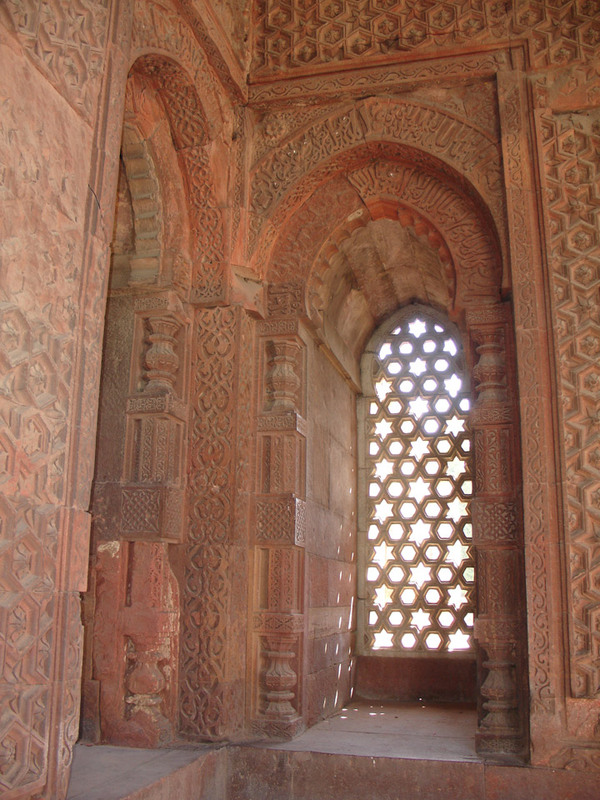 The first three storeys are made of red sandstone, he fourth and fifth storeys of marble and sandstone. 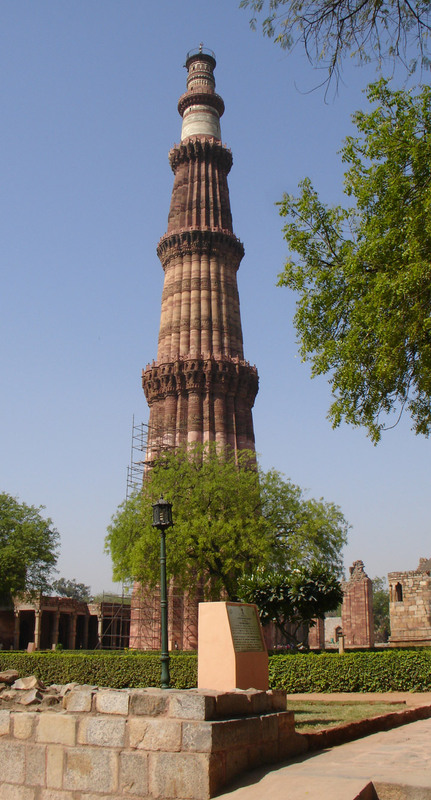 The stairs inside the tower coil so steeply that they’re enough to make the hardiest climber dizzy and claustrophobic, and it was no surprise when a stampede during a school trip in 1979 resulted in a number of deaths. 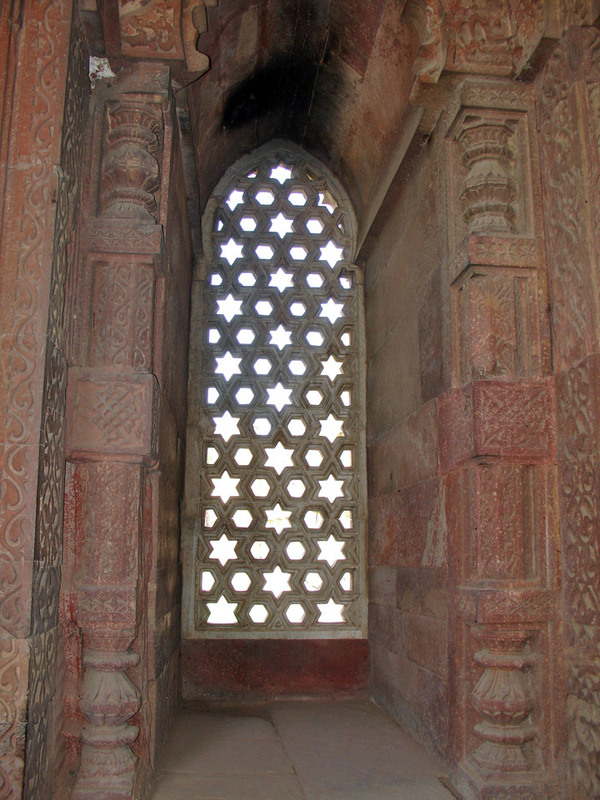 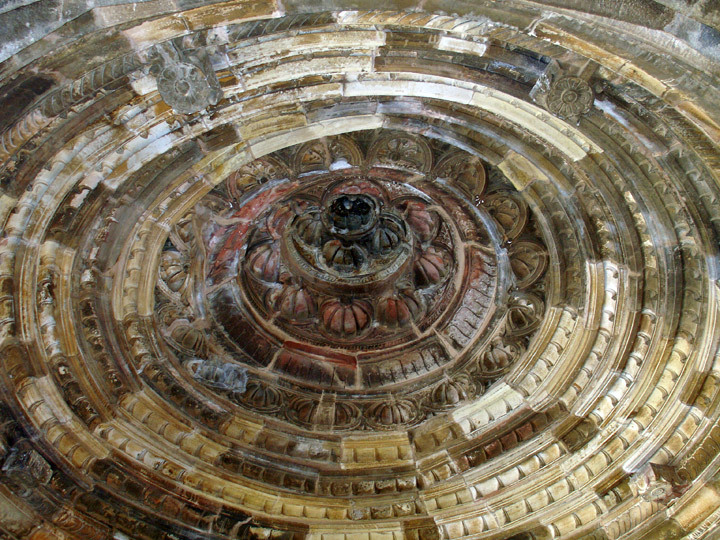 The inside of the tower has since been closed to visitors. 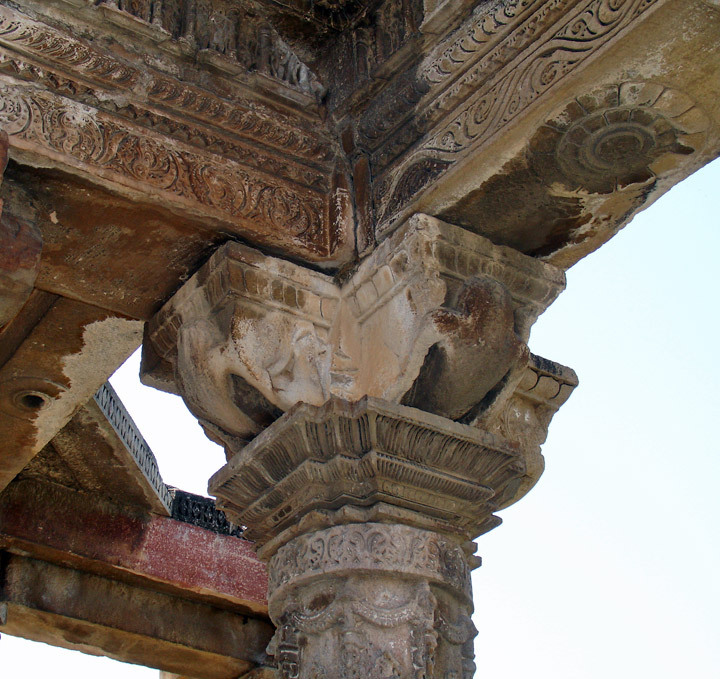 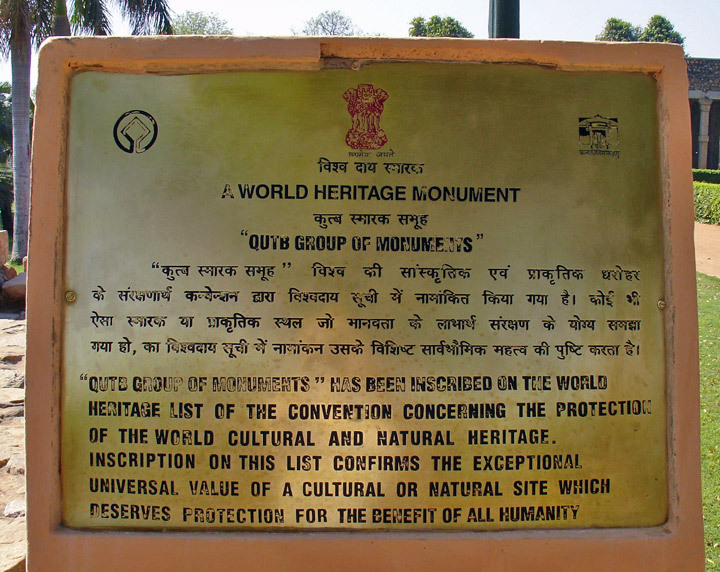 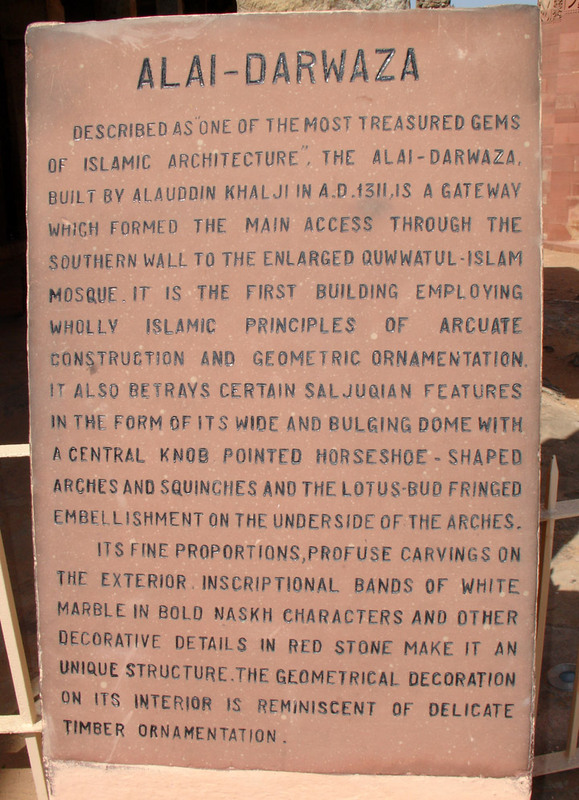 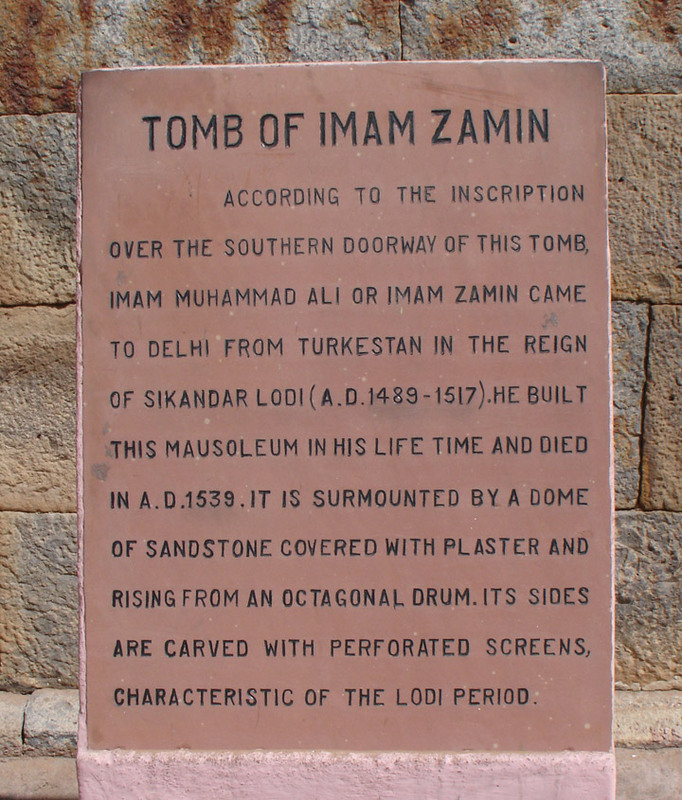 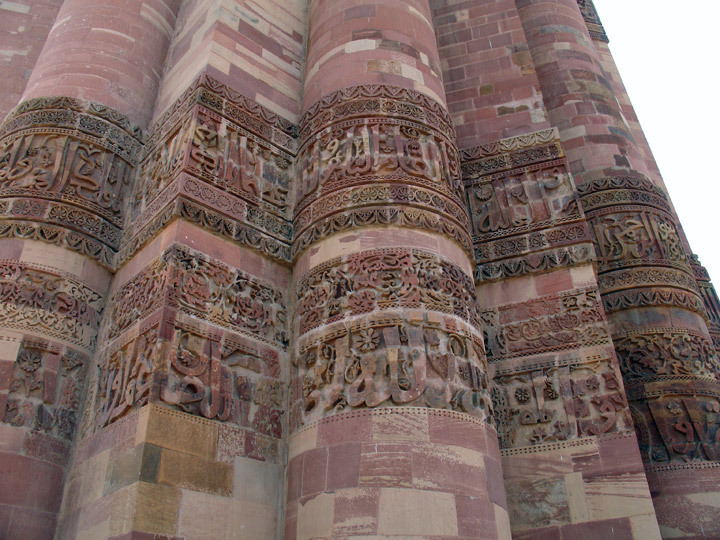 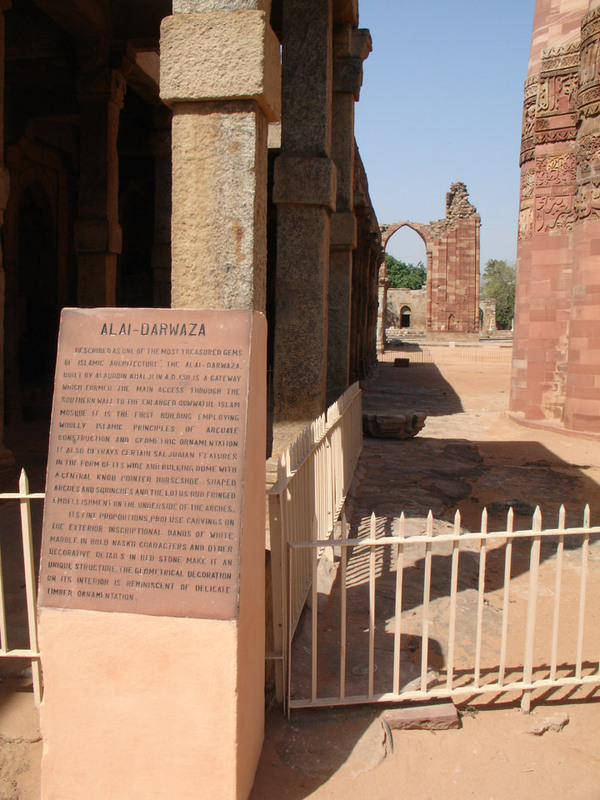 An inscription over the mosque’s eastern gate provocatively informs that it was built with material obtained from demolishing 27 idolatrous (read Hindu) temples. 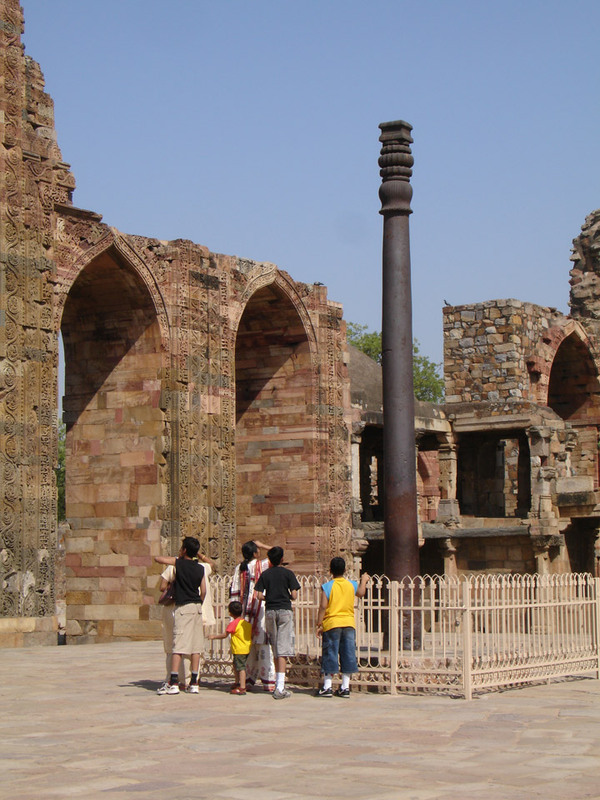 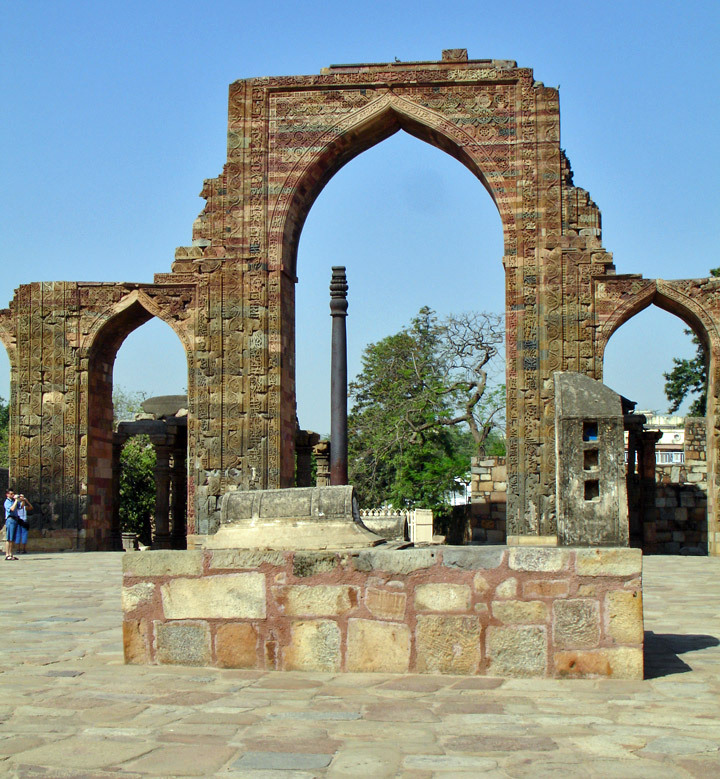 A 7 meter (23 foot) high iron pillar stands in the courtyard of the mosque and it’s said that if you can encircle it with your hands whilst standing with your back to it, your wish will be fulfilled; however, the pillar is now protected by a fence.